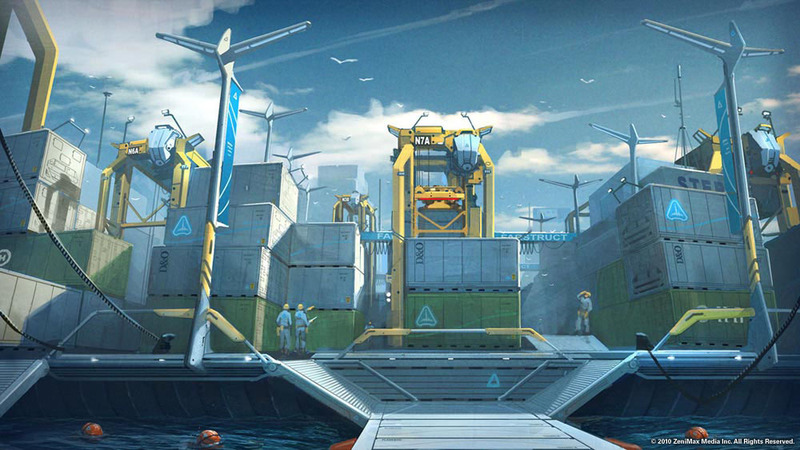 Brink takes place on the Ark, a man-made floating city that is on the brink of all-out civil war. Originally built as an experimental, self-sufficient and 100% “green” habitat, the reported rapid rise of the Earth’s oceans has forced the Ark to become home to not only the original founders and their descendants but also to thousands of refugees. With tensions between the two groups growing, Security and Resistance forces are locked in a heated battle for control of the Ark. Which side will you choose? Hello World, welcome to the Ark! One could think this would be the opening of a book or a movie. But in fact it is the background story of a recently released Game. Brink, a first person shooter. FPS are usually not known for their story or background, but Brink surprised me. It all started with this very stylish intro that immediately made me sit up and notice. The simple beauty of having the story told on a blueprint with an architectural model that reflects the course of time was a surprise. After all, nobody got shot in a shooter Intro! I pondered about this a while and I think what made me so engaged was that the simplicity of the presentation caused me to use a very powerful thing while watching it: My Imagination. I did not really show me the world. It showed me an idea of the world and that idea could be filled with details . In your own mind at first and later you can add the games imagery to it to flesh it out. I believe the Ark would make a great place for a Cyberpunk Campaign. You have rotten area, where poverty, hunger and garbage is prevalent, but also friendship and heroism. And the other half is still Rich, has resources and is clean. Even though also on its way down. You have camaraderie and duty there. Depending on where you Play your surroundings would enable different forms of campaigns. Classic “Against the Man” or “Military Order” are the first that come to mind. It is a setting full of high technology but power to run it is increasingly rare. This is a setting full of conflict and intrigue where not all is what it seems. Where good intentions are crushed by ambitious and ruthless people. You either do your patriotic duty or fight for you freedom. Hopefully I am not the only one that is thinking this. Maybe a bunch of us could create a mini setting or a simple scenario built on the lore, visuals and information we have on the Ark? Would you help? Choose your side and join the discussion. Be creative. Lets see what comes out of this experiment! For more moving Brink watch this. For more information on the game and setting hit up the Wiki and the Official website. 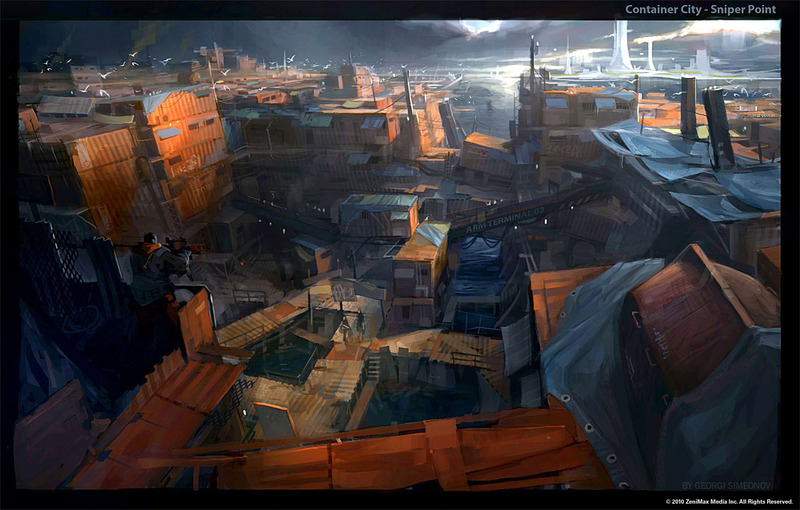 I will leave you with some concept art to inspire you and hope to see you on the Forums. Next Savage Worlds Adventure for Necropolis: Outpost CVIII, please come in.